The common pheasant (Phasianus colchicus) is a bird in the Phasianidae family. It is native to Asia and has been widely introduced to other countries as a game bird for this purpose. Common pheasant birds are bred to be hunted in traditional formal “driven shoots” and are shot in great numbers. The carcasses were often hung for a time to improve the meat by slight decomposition, as with most other game. 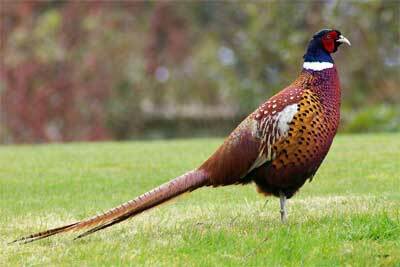 Pheasant is often served as a roast, casserole or cut up into breast fillets. There are many recipes online.